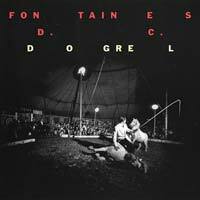 This week our recommended releases kick off with Fontaines D.C., whose evolution, like all the best bands, seems to have happened fast with a steep, seemingly preordained, trajectory since they discovered a shared love of poetry and a common zeal for authentic self-expression at college in Dublin a mere three years ago. It is to their credit and it augurs well that their collective eye is already on the next phase as they prepare for now to take on the world for real. With Dogrel, their ascent seems effortless. 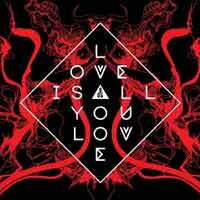 Southampton’s very own Band Of Skulls release their latest, Love Is All You Love. 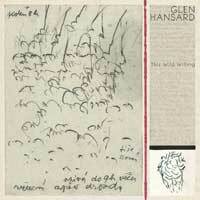 “This record is tough and tender with a rebellious spirit,” say Emma and Russell. “It is a positive record. It looks to what is possible and how a little love and human kindness can help bring about positive change. We drew on personal experiences, changes in our situation, and couldn’t help but be affected by what has been going on in the world politically, culturally and environmentally. Attempting to overcome that sometimes powerless feeling by creating and connecting with people and making something new.” Since forming in 2009, Band Of Skulls have released four acclaimed studio albums and built a reputation as a phenomenal live act, both at home and overseas. 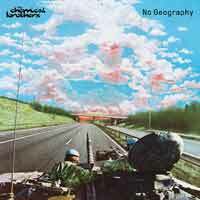 Following on from the critical and commercial success of their Grammy-nominated 2015 album Born In The Echoes – the band’s 6th consecutive UK number 1 – The Chemical Brothers release their ninth studio album, No Geography. The superstar DJs go back to basics on their feral new album. Mixing it up the way only they can, The Chemical Brothers are still dancing to a different beat. Several of the tracks on No Geography feature vocals by Norwegian singer-songwriter Aurora, who wrote and recorded parts in the band’s studio in close collaboration with the band. Japanese rapper Nene features on ‘Eve Of Destruction’. 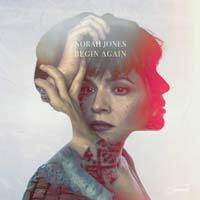 Begin Again, the sixth studio album by nine-time Grammy-winning singer-songwriter Norah Jones, features a collection of seven eclectic songs that Jones recorded over the previous year with collaborators including Jeff Tweedy and Thomas Bartlett. The track ‘Just A Little Bit’ was produced by Jones and features her on vocals, piano, and organ along with Brian Blade on drums, Christopher Thomas on bass, Dave Guy on trumpet, and Leon Michels on tenor saxophone. The singles she released in the summer of 2018 ran the gamut from riveting electronic experiments to starkly acoustic folk ballads to organ- and horn-drenched soul songs. With the addition of three more previously unreleased songs, Begin Again presents seven snapshots of creativity from one of the music world’s most versatile and consistently intriguing artists. Our album of the week comes from Damien Jurado. This artist has always worked fast, but In The Shape Of A Storm came together with unprecedented speed. 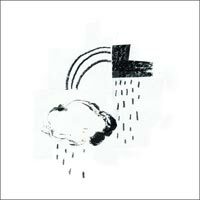 Recorded over the course of just two hours one California afternoon, it’s Jurado’s sparsest album to date. Gone are the thundering drums and psychedelic arrangements that defined the trilogy of concept albums he made with his longtime collaborator and close friend Richard Swift. Here, there’s only Jurado’s voice, acoustic guitar, and occasional accompaniment from Josh Gordon, playing a high-strung guitar tuned Nashville style, rendering its sound spooky and celestial.